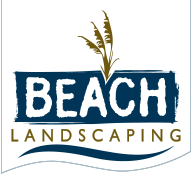 These terms and conditions (the “Terms and Conditions”) constitute an agreement between you and Beach Landscaping, LLC (“BEACH”), and govern your use of the website www.Beach-Landscaping.com (the “Website”) and your submission (a “Submission”) of any material, including without limitation, your comments, name, text, photographs, videos, and any other content or information, (the “Content”) for use. By using the Website, or making a Submission of any Content to the Website, you are agreeing to be bound by the following terms and conditions. BEACH reserves the right to modify these Terms and Conditions at any time. You are responsible for regularly reviewing these Terms and Conditions and any additional terms and conditions posted to these Terms and Conditions. Your continued use of the Website constitutes your agreement to all such additional terms and conditions. You understand that you must be eighteen (18) years of age or older in order to submit Content. 1.1 By making a Submission of Content, you hereby grant to BEACH, its parent, subsidiaries and affiliated companies and its respective licensees, successors and assigns, the unlimited right and permission to use the Submission or any part thereof, as well as any other information you provide to BEACH, anywhere in the world, at any time, in any manner, media or venue (whether now known or hereafter devised) and for any lawful purpose whatsoever, including, without limitation, for purposes of commerce, merchandising, entertainment, advertising, promotion or trade in promoting and publicizing the Website, BEACH, and its products and services. 1.2 BEACH shall have the right, in its sole discretion, to edit, composite, morph, scan, duplicate, or alter the Submission in any manner for any purpose that BEACH deems necessary or desirable, and you irrevocably waive any and all so-called moral rights you may have in the Submission and you agree that you shall have no right of approval, no claim to compensation, and no claim (including, without limitation, claims based upon invasion of privacy, defamation, or right of publicity) arising out of any use, blurring, alteration, editing, morphing, distortion, illusionary effect, faulty reproduction, fictionalization, or use in any composite form of the Submission. 2.1 BEACH shall have no obligation (express or implied) to post or otherwise use your Submission and BEACH may at any time remove your Submission at any time and for any reason without prior notice. 2.2 In addition, BEACH shall have the right to prevent any person from using this Website at BEACH’s sole discretion. 3.1.6 You have the right to grant the rights granted herein, and neither the Submission, nor the use of the Submission by BEACH will infringe upon or violate the intellectual property rights or other rights of any other person or entity or any applicable laws. 4.1 You understand and agree that when using the Website, you may be exposed to content posted or submitted by users (collectively, “User Generated Content”), and that BEACH is not in any manner responsible for the User Generated Content, and that BEACH does not guarantee the accuracy, integrity, quality, or intellectual property rights of or relating to such User Generated Content, and that BEACH cannot assure that harmful, inaccurate, deceptive, offensive, threatening, defamatory, unlawful or otherwise objectionable User Generated Content will not appear on the Website. 4.2 You acknowledge that by providing you with the ability to access and view User Generated Content on the Website, BEACH is merely acting as a passive conduit for such distribution and is not undertaking any obligation or liability relating to any User Generated Content or activities of users on the Website. 4.3 Without limiting the generality of the foregoing, you acknowledge and agree that the information, materials and opinions expressed or included in any User Generated Content are not necessarily those of BEACH or its affiliated or related entities or content providers. 5.1 You hereby agree to defend, indemnify and hold BEACH, its parent, subsidiaries and affiliated companies and its respective licensees, successors and assigns, harmless from and against any and all third party claims, actions or proceedings of any kind and from any and all damages, liabilities, costs and expenses, including reasonable attorney’s fees, relating to or arising out of your use of the Website, including, without limitation, any use of your Submission by BEACH and any breach or alleged breach of any of your warranties, representations or agreements hereunder. 7.1 You may be able to link to third parties’ Web Sites (”Linked Sites”) from the Website or any other BEACH website. Linked Sites are not, however, reviewed, controlled, or examined by BEACH in any way and BEACH is not responsible for the content, availability, advertising, products or other materials of any such Linked Sites, or any additional links contained therein. 7.2 These links do not imply BEACH’s endorsement of or association with the Linked Sites. It is your sole responsibility to comply with the appropriate terms of service of the Linked Sites as well as with any other obligation under copyright, secrecy, defamation, decency, privacy, security and export laws related to the use of such Linked Sites and any content contained thereon. In no event shall BEACH be liable, directly or indirectly, to anyone for any loss or damage arising from or occasioned by the creation or use of the Linked Sites or the information or material accessed-through these Linked Sites. 7.3 You should direct any concerns to that site’s administrator or webmaster. BEACH reserves the exclusive right, at its sole discretion, to add, change, decline or remove, without notice, any feature or link to any of the Linked Sites from the Website and/or introduce different features or links to different users. 7.4.1 To seek our permission, you may write to BEACH here. 8.1 From time to time, BEACH may offer as part its services, either on or through the Website, contests, promotions, simulations or games (collectively, “Games”). To participate in Games, players may be required to complete a registration form. Upon submission, all registrations become the exclusive property of BEACH . Registered users (each, a “Registered User”) are permitted only one account. Registered Users with more than one account are subject to immediate disqualification from any Game, unless the description of the Game expressly invites a user to register multiple times. BEACH , at its sole discretion, may suspend or revoke the registration of any Registered User. 8.2 Registered Users agree to release BEACH and its agents, advertisers, sponsors or promotional partners, from all liability arising from participation in any of Game located on, or accessed through, the Website. BEACH is not responsible for technical, hardware or software failures of any kind, lost or unavailable network connections, or failed, incomplete, garbled or delayed computer transmissions which may limit any Registered User’s ability to participate in any Game. 8.4 A Registered User who violates any of the rules or guidelines for behavior published on the Web Site, or the site where the Game is conducted, are subject to immediate disqualification and revocation of their registration. BEACH is under no obligation to award any prize to any Registered User who violates a published rule or guideline. Some Games may offer prizes to Registered Users. All prizes are subject to the official game or contest rules published with that Game. 8.5 BEACH reserves the right to cancel, terminate or alter any Game or the rules thereof at any time without prior notification. 9.3 In operating this site, BEACH does not solicit nor does it wish to receive any confidential, secret or proprietary information or other material from you through the Website or BEACH mail and e-mail addresses, or in any other way. 9.4 Any information or material submitted or sent to BEACH, shall be deemed not to be confidential or secret. 10.1 These Terms and Conditions constitute the entire agreement between you and BEACH. These Terms and Conditions and the relationship between you and BEACH shall be governed by the laws of the State of South Carolina without regard to its conflict of law provisions. 10.2 BEACH’s failure to exercise or enforce any right or provision of the Terms and Conditions shall not constitute a waiver of such right or provision.